Here is the next post in the series Les petits plaisirs. My goal for this series is to share things I've found to be little pleasures in life. It could be a quotation, a song, something I like to do, or even just a comfort item. Whatever makes me feel good inside, and I think may make you feel good too. 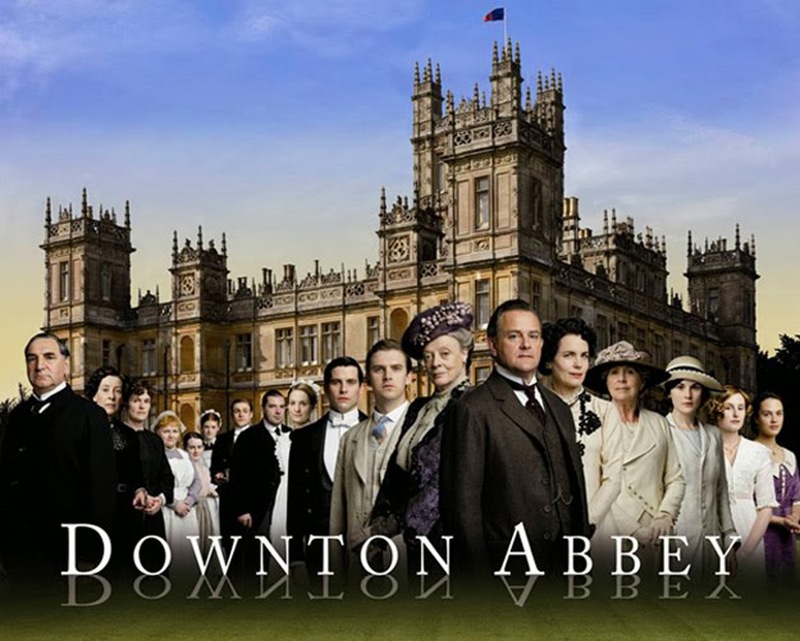 Last night was the season 4 premiere of Downton Abbey in Canada. I was late joining the Downton Abbey following. After binge-watching seasons 1-3 with Rob last summer, it firmly holds the spot as my favourite show right now. And after dropping some not-so-subtle hints about Marks & Spencer's Downton Abbey bath and beauty line, I can further channel my inner Mary Crawley with these treats that were in my Christmas stocking. I'm an emotional person. I've been known to cry at books and movies easily. However, I think it has been a long time since a tv show has elicited such an emotional, and even physical, reaction from me. My Facebook status from last summer would tell you that I wanted to break up with Downton Abbey mid-way through season 3 and by the end, I felt like I had a Downton Abbey hangover. But still, I craved more. I missed the witty Dowager Countess. I missed Lady Mary (in mourning WTF!?) and I miss Matthew. Thank God they wrapped up the story with Ethel and her son because as the mama of a 1-year-old boy, that plot line nearly did me in. As per my resolutions, Rob and I invited some friends over to celebrate the new year and the newest season of Downton Abbey. The season 4 premiere did not disappoint. Thomas was up to his old tricks, Bates was still charming, and the Dowager was making her opinion known left, right, and centre. Our Downton night was made of chocolate, scones, tea and other adult beverages. I only wish I had a bottle of the new Downton Abbey wine to serve as well. So, I guess you know where to find me on Sundays at 9pm for the next little while. In the meantime, check out this funny SNL short on Downton Abbey (or "Fancy Entourage" - ha!). And if you don't mind a little vulgar language, P. Diddy cast himself as part of Downton Abbey in this well done Funny or Die video.